Recently we covered the many benefits of using rose hip oil. Produced from the seed of the jojoba plant, jojoba oil is very popular in modern health & beauty care products. A light textured & golden colored oil, jojoba differs from other plant based oils in its properties. The properties of jojoba oil are very similar to our skins own natural oil (sebum) & that makes it extremely beneficial & nourishing for our skin & hair health. The discovery of jojoba oil itself is interesting. When sperm whale oil was banned from the cosmetic industry, jojoba oil stepped in as an inexpensive alternative. Jojoba oil is rich in Vitamin E, Vitamin A & Vitamin B1 & B6 making it a natural scalp tonic. Research indicates using jojoba oil adds a natural glow to the skin. 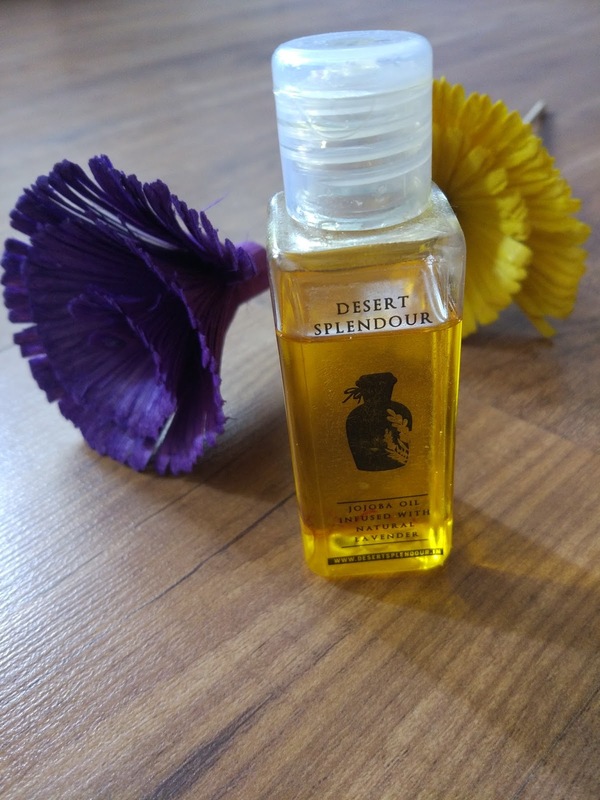 We tried Jojoba Oil infused with natural lavender from Dessert Splendour and loved it!!! A golden colored, clear oil, Dessert Splendour jojoba oil comes packaged in a clear bottle with a flip top. The oil is lightweight to use and leaves a lingering aroma of lavender post application. Priced at INR 440 for 50 ml, its a bit expensive but the multi purpose usage of the oil is an added benefit. Lets look at some best ways to use Dessert Splendour jojoba oil for maintaining skin & hair health. Use as Skin Moisturizer: Prolonged use of soap strips our skin of natural sebum, leaving it dehydrated & dull. Hydrated skin is the first step towards healthy skin & jojoba oil being non-greasy acts as a good moisturizer for our skin. Apply a few drops on jojoba oil in the night directly on the face after cleansing & massage gently to deeply moisturize the skin. You can even apply jojoba oil to other exposed parts of your body. Clear Skin Problems: Dry, dehydrated & blotchy skin can invite many skin problems. Jojoba oil relieves skin of problems like Eczema & Psoriasis.. Using jojoba oil is recommended as its provides hydration to the skin & forms a protective layer & keeps secondary infections at bay. Mix a few drops of any essential oil of choice & apply on the skin or add a few drops of jojoba oil to your bath water. Make Cuticles softer: Usage of nail polish removers that contain chemicals may dry cuticles. 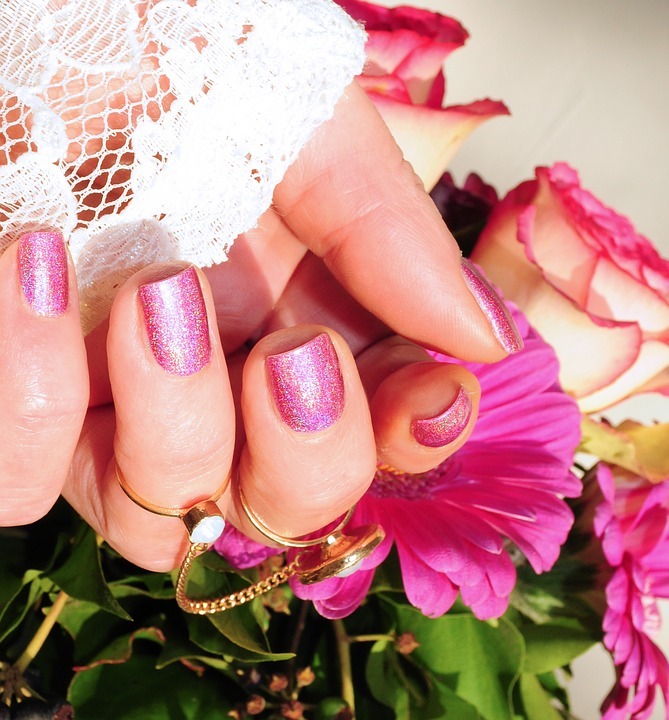 Though cuticles are very tender, they protect our nail beds from infections. Jojoba oil can help remove dryness from the cuticles as it contains anti bacterial & anti inflammatory properties. Once a week soak your hands in warm water for sometime & dry them. Apply a few drops of jojoba oil to your cuticles. Cure Chapped lips: Suffering from chapped lips? Apply a few drops of jojoba oil in the night & wake up to soft lips. Make a natural lip balm by mixing jojoba oil with coconut oil & natural flavors of your choice. Control Acne: Hormonal changes lead to excess sebum production, which may lead to Acne. Excess sebum, dead skin cells & keratin deposits of skin cause blockages resulting in acne. In a few cases acne persists during adulthood too. Jojoba oil application helps control acne due to its anti bacterial properties. The oil penetrates the skin deeply & moisturizes it, clearing sebum deposits & helps in controlling acne. Effective Against Hair Loss: Aging, environmental factors & skin conditions are a few factors that lead to hair loss. The vitamins & minerals present in jojoba oil help nourish the scalp & hair promoting growth of hair. Jojoba oil also penetrates deeply when applied on the scalp & helps dissolve sebum build up that may hamper hair growth. Mix a few drops of jojoba oil mixed with argan oil & massage gently on the scalp. Get Rid of Frizzy Hair: Manage frizzy hair with application of jojoba oil. When the hair is still damp, take a few drops of jojoba oil in your hands & apply evenly till the tips of the hair but avoid hair roots. Get Rid of Cracked Heels- Cracks on heels are not only an unpleasant sight but may also lead to fungal & bacterial infections if left untreated. To get rid of cracks on heels, soak your feet in warm water for 5-10 minutes. Gently rub away dead skin with pumice stone & apply jojoba oil liberally all over your feet. Wrap with a towel so that the oil gets soaked. In winters, apply jojoba oil before sleeping & wear socks to wake up to happy feet. What is your favorite way of using Jojoba oil in your skincare regime? Do tell us in the comments section.